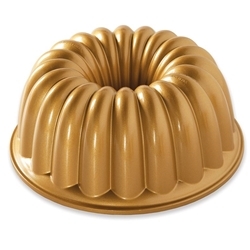 The Elegant Party Bundt is back! This beautiful and simple shape will bring a unique elegance to your dessert table at gatherings. It provides superior baking performance with a premium nonstick surface as part of our Bundt Bakeware Platinum Collection.